World Leader in the production of quality fencing panels, Nuova Defim offers robust modular systems unifying design and reliability. 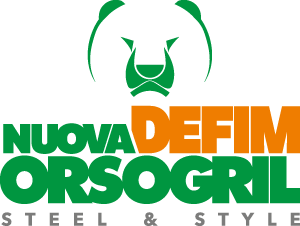 Only Nuova Defim can propose the European wider market range, offering either welded wire and grating fences. Nuova Defim and Orsogril fence systems are discrete characters of many industrial and high design projects, providing high security standards and a total integration in the landscape were they are installed. From the common product to the more peculiar ones, the resistance is merging in the aesthetics trasferring in every fence, high quality standards and answers to the market requests; among them safety, elegance, visibility or privacy, and the numerous finish colours.